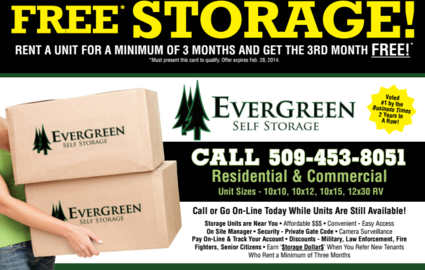 Evergreen Self Storage offers the peace of mind that you’re looking for when you rent self storage space. With round-the-clock surveillance and security monitoring, you can relax knowing that your items are safe when stored with us. All of our units are indoors and located on ground level, offering you easy access when you visit your space. 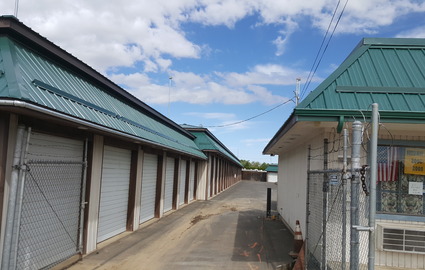 Locally owned and operated, Evergreen Self Storage has been serving Yakima and the surrounding communities Union Gap, Selah and Yakima Upper and Lower Valleys for more than seven years. 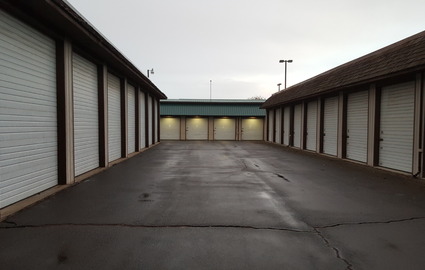 Our goal is to provide the best storage for everyone who walks through our door, creating a long term relationship of customer service with both businesses and individuals. Are you looking for a place to store your RV, car, boat or trailer? 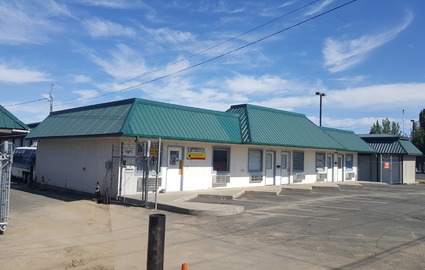 We have plenty of parking for all of your vehicles, large or small. We offer affordable and convenient billing options and when you pay for one year in advance, you’ll receive one month free! 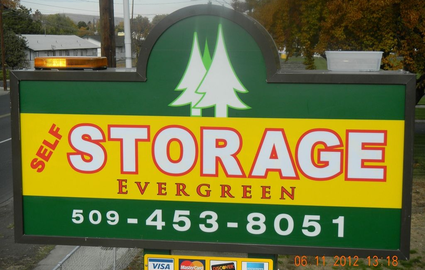 We invite you to join our many other satisfied customers that have been part of the Evergreen Self Storage family for many years. We’ve recently made extensive improvements to our facility to help us better serve our customers and boost the aesthetic of our property. We have installed new steel roofs and expanded our parking lot, in addition to adding additional security cameras and new security lighting. You’ll find our office looks great, too! We’ve added new rock and stucco facing to our office, in addition to new doors and windows. We welcome you to come visit us and see what we’ve done to improve our facility! In an Emergency call Zammie at 509-424-0796 or Wes at 509-833-4304. 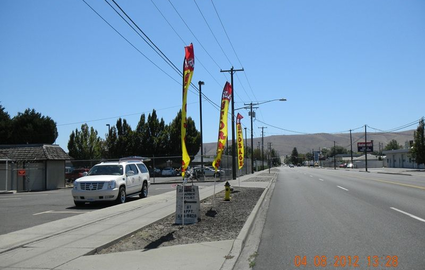 Saturdays: Zammie comes in most Saturdays between 9 a.m. and 12 p.m. You may want to call ahead on Friday to make sure he will be available: 509-453-8051 or 509-424-0796. Sundays: If you're just too eager to have a unit, we will do our best to accommodate you - even on Sundays. You might have to wait until the afternoon since most Sundays we are in church in the morning. To make an appointment call ahead and make sure Zammie is available. Well-Lit at Night	 Boxes and Supplies: Coming Soon!